I’m Australian. I was born in Australia and speak English. During high school (a long, long time ago) I was taught German, so I can speak a little of that, and I was married to an Italian; so again I can speak a little of that too. But I’m certainly not fluent in either of those nor any other language of the world! The only language I can speak fluently is English. This means that I would struggle if I moved overseas to a non-English speaking country! However, there is another language I am extremely fluent in … dog (dog training too)! Dogs communicate using a complex range of body language signals, which once understood correctly, makes them extremely easy to understand! 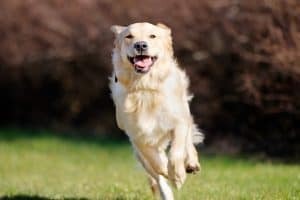 Interrupt and move your dog away from a situation, which in turn can not only prevent a negative outcome but also build amazing trust, as your dog learns that you take care of the situation, rather than your dog having to. On the flip side if you know when your dog is happy and what your dog enjoys and finds rewarding you can do these things more often, as well as using them as rewards in training! *The below links are not graphics, however the last link does show a low-level negative incident at a dog park. Please review the content prior to allowing children to view. If you would like more information on how to correctly interpret your dog please contact us!